There’s no denying that scopes have become complicated in recent years. You can have any number of special features, widgets and gadgets shoehorned onto your optic that promise the world in benefits and features. There’s something to be said about simplicity, and nothing says simplicity like a fixed power scope. There are many benefits to a fixed power scope but one thing stands out, there’s a lot of junk on the market. It easy to find a cheaply imported scope, that won’t perform well for very long and be duped into buying it. To make sure you don’t get ripped off, here are the 5 best fixed power scope that will serve you well for the upcoming hunting seasons. The main reason to buy fixed power scope is the simplicity and cost. Many of these scopes cost a fraction of what a variable magnified optic would cost. This is because there are less moving parts in a fixed power optic and less engineering and materials have to go into the design. This also means that they are simple to use and are much lighter. The lack of moving parts and adjustments combine to make these scopes ideal for situations where you don’t want a bulky, heavy or complicated optic. 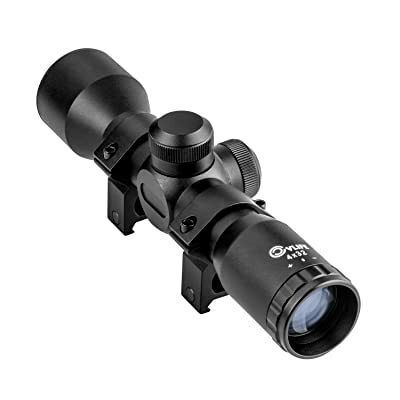 This makes them ideal for dangerous game, stalking, and lightning fast carbines, because they can be made smaller and lighter than their competitors with no loss in performance other than the fixed magnification. The more you hunt the more you realize that magnification isn’t always needed, and just having crosshairs to look through gives an enormous advantage over iron sights. When you don’t have to focus on aligning the front sight with the rear side and the targets all at once, you are capable of much more accuracy. That is the idea behind having a red dot or a fixed magnification optic, it allows you to shoot better but doesn’t necessarily give you the full benefits of the scope. You’ll see a trend on fixed power scopes to make the cheapest scope possible. Try to stay away from models that have inferior optical quality and sacrifice performance for cost. Of course, at some point, you’ll lose quality as you move down the spectrum, but these days technology has made it very cheap to produce decent quality glass for plinking and casual hunting. Don’t compromise if you don’t have to! Leupold makes the highest-quality sporting optics on the market, bar none. Their optics are extremely high in both optical and build quality, and their features leave nothing to be desired. This is one of the simplest and most compacts scopes you can get your hands on, and is one of the best-fixed power scopes on the market. Everything about this scope is extremely simple. From the fixed 2.5x power and tiny 28mm objective lens to the simple duplex reticle, you can rest assured there is nothing to mess with, adjust or set up with this scope. All you have to do is mount it up, and get in the field. It has all the features you’re used to, like fully multi-coated lenses, a single aluminum tube body, and even a few upgrades like argon dry purging and a diamond coat exterior. These proprietary features bring the level of quality on Leupold Scopes a notch above all the others. If you don’t want to sacrifice on quality but must have a simple and compact scope this is the best option on the market. 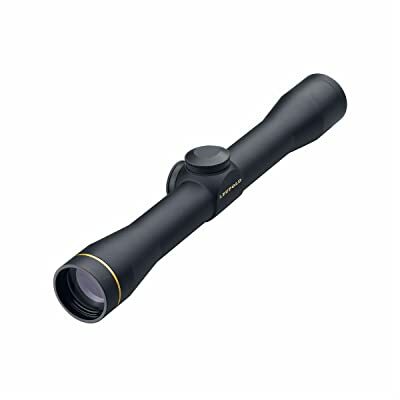 CVLife is looked down upon by many hunters because they make low-quality optics. Some of their scopes leave performance to be desired but this is an example of one of their low-cost scopes that perform well in the field despite the problems in build quality and fit and finish. The reason to buy the scope is that if you have a rifle that is beat up and has seen better days, and you want an optic for it but you don’t want to spend a lot of money. The redeeming feature of the scope is the optical quality. It works well enough that you can plink and hunt casually with it, without worry of getting a splitting headache or it failing you, but it’s not going to win any awards. Many people buy fixed power scopes because they are inexpensive and compact and that is exactly what this scope is. The lenses are fully multicoated, the body is O-ring sealed, and made from a single piece of aluminum, but the exterior coatings leave something to be desired and the entire scope is lacking in features for a long-range shooting or hunting. If you are looking for a basic scope to enjoy the benefits of simplified aiming through optics and light magnification, this is an excellent scope for you. If you are looking for the highest-quality scope on the market, look elsewhere. Bushnell scopes are ubiquitous in the fact that they can be found on rifles everywhere. From large elite military units to the backcountry deer camps all over the US, they are loved and enjoyed by shooters everywhere. 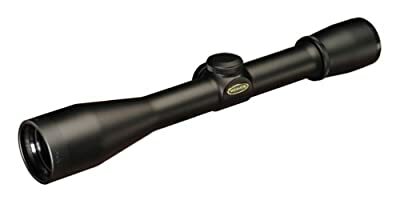 This is one of their simple dawn and dusk rifle scopes with fixed magnification that has been optimized for hunting with the inclusion of a few special features. First of which, is the special multi coated lenses that are optimized from edge to edge to perform in low light situations, for hunting on the very edge of legal shooting light. If you hunt in dark timber or from a tree stand and the shadows make it difficult to see your reticle, while it is still legal to be hunting, you’ll enjoy the capability this simple fixed power scope gives you with the included dawn and dusk features. The interesting thing about this scope is the Circle-X reticle included. It is a type of BDC reticle that offers aiming points for fast holdovers and snapshots. If you are looking for a fixed power scope so you can take advantage of the simple and fast construction it affords, this is a great addition to the scope. You won’t be let down by Bushnell, in warranty or customer service and this is an excellent low-cost scope for you to take advantage of in the field. Most people don’t know what Weaver Scopes are a division of Bushnell. Bushnell makes a ton of different scopes that can be found pretty much anywhere on the planet from elite military and law-enforcement units, to the local big-box outdoor store. They are the driving force behind a low-cost optics scene in the outdoor industry. And for good reason, they make very effective cheap optics for people who just need a tool to get the job done. Their line from Weaver, however, is a little bit more refined and offers a few features and slightly better build quality than many of their cheaper brands. This is a fixed 4x power rifle scope with a 38mm objective lens. Overall, it’s as slim and trim as scopes come with excellent optical quality in a compact build. The slightly longer overall length lends this scope well to bolt action rifles or lightweight carbines, but will suffer on a lever action or shotgun. If you are looking for a scope that has all the features you are used to, like fully multi coated lenses, a dry sealed body, and a good warranty backed up by customer service, there’s no reason not to choose this scope from Weaver, manufactured by Bushnell. 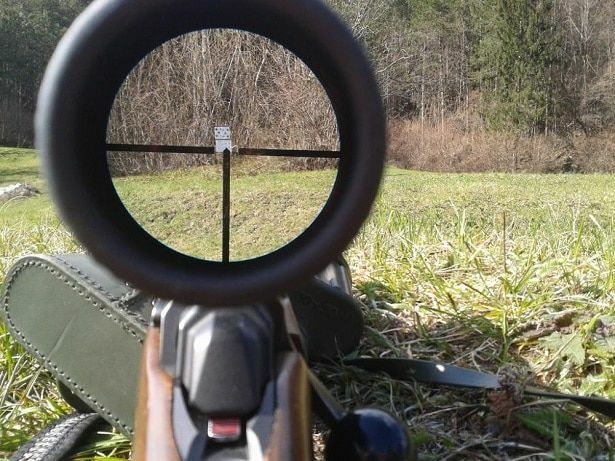 Aim Optics is one of the best importers of low-cost high-quality optics, right now. This is one of their simpler designed fixed 6X power scopes, with a 40mm objective lens that combines the capabilities of a full-size scope and mil dot reticle with the simplicity of having fixed magnification. Most of the fixed magnification scopes on the market are micro or mini sized to save on weight and bulk. This also limits your field-of-view and light gathering capabilities. Aim Optics went around this by making a full-size scope with fixed magnification and full-size objective lens to keep performance high but weight and cost low. The reason to buy the scope is if you want full-size performance but want a scope that is as simple as possible. The full-size scope delivers 6x power which is more than almost every other fixed magnification scope on the market today, it also provides more field-of-view and light gathering capability because of the full-size objective lens. Not to mention it is excellent value coming with pre-installed rings and mount ready to go out of the box. All you have to do is tighten down the thumb screws and sight the optic in. If you are looking for performance and simplicity, this is the best option available to you today. When you see scopes on the market, you’ll notice there are two types when it comes to eye relief; critical and noncritical eye relief scopes. Eye relief is a term used to define the distance between your pupil and the eyepiece of the scope when you are looking through it. Generally, on hard recoiling rifles, you want to have a long eye relief to prevent scope bite and a trip to the hospital for stitches! For most scopes they are noncritical, meaning people can be within a range of distances from the eyepiece and still be in focus, this setup is preferable for hunters and anyone who will be shooting at odd shooting angles. This is because in the field you can never be sure exactly how the shot will take place, and you want to leave yourself some wiggle room on how you set up on the rifle. 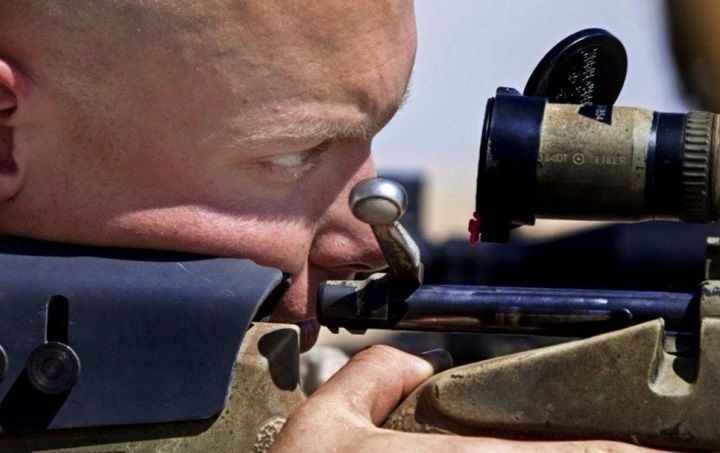 For bench rest shooters, you want a scope with a critical eye relief, meeting a precise measurement from your pupil to the eyepiece, this is because these scopes tend to have the largest field-of-view and best optical quality because the engineers can design the scope around a very specific distance. That increase in performance can mean the difference between losing a match and winning. Most fixed magnification scopes have critical eye relief, make sure you check the specifications of the scope before you buy, otherwise you’ll be hurting yourself down the road. Fixed power scopes are the best solution to simplify the aiming process while still allowing you to have moderate magnification. Scopes have come on in leaps and bounds in current years and there’s a resurgence in the love of simple and effective tools in the outdoors. All of the major brands make fixed power scopes, and if you go above and purchase a really high-quality product it will serve you well in the field. Don’t be discouraged if the scopes available don’t match your preferences 100%. Get a scope that you can live with and get out in the field. The best fixed power scope in the world isn’t going to do you any good if you don’t use it! 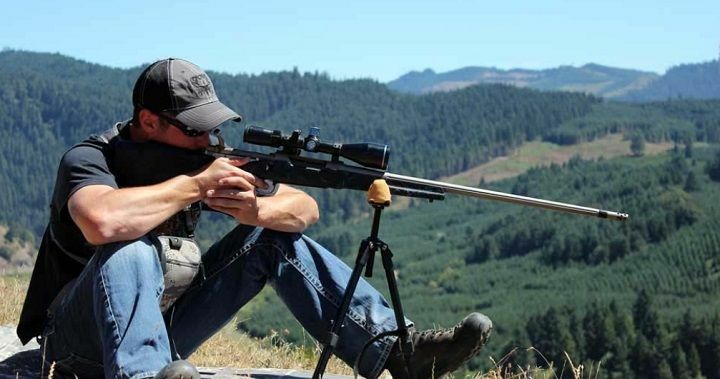 For the definitely guide choosing the best rifle scope, read here. I am the owner of Iron sight Inc. We repair thousands of rifle and pistol scopes each year. I myself have been repairing and designing rifle for over 30 years. McKinley has hit the bail on the head. Fixed Power scopes have less working parts and overall are more reliable than variables because of less working parts. Also the reticle being set to the center of the optical axis is more critical in a variable scope than a fixed power. I have been called at the the shop by customers wanting me to recomend a good general hunting scope and I always recomend a fixed power for those starting out. I have also found and consider this that 98% of hunters and competitors out there put there variable scope on the highest power or one power zero it and leave it there. Great Article McKinley!